The DCNN is an association of 15 academic institutions in northern Bavaria. The objective of the network members is to win and retain top academic professionals who are thinking about relocating to northern Bavaria with their partner. 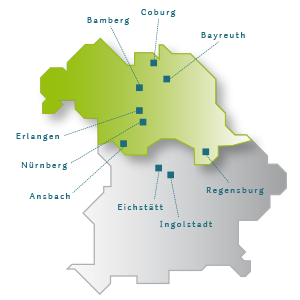 In addition, we offer a wide range of information on relocating to northern Bavaria.